Tess mcKenna at the Union December 4, and new CD! 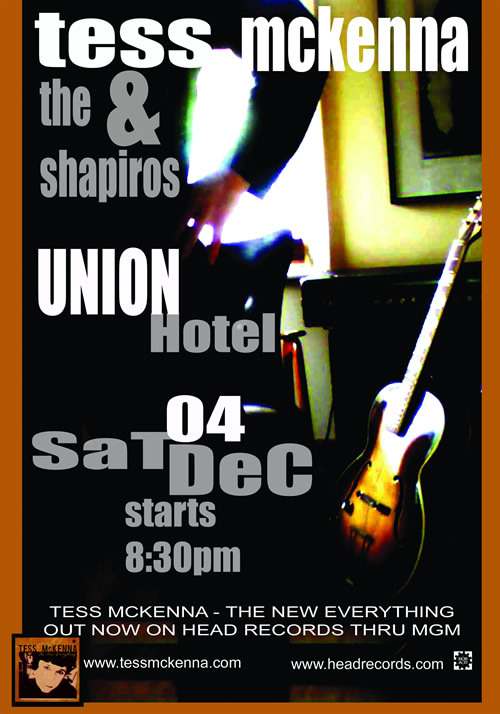 Tess McKenna and the SHAPIROS play two sets for your listening pleasure at the Union Hotel, Union street, Brunswick, at 8:30 on Saturday December 4. Tess’s latest CD The New Everything is available now from Head Records or superior music purveyors. Just in time for your Xmas shoppingz! Sadly (for me), I’m not playing on this one, because I rejoined after it was recorded. The CD launch is delayed until February – watch this space.